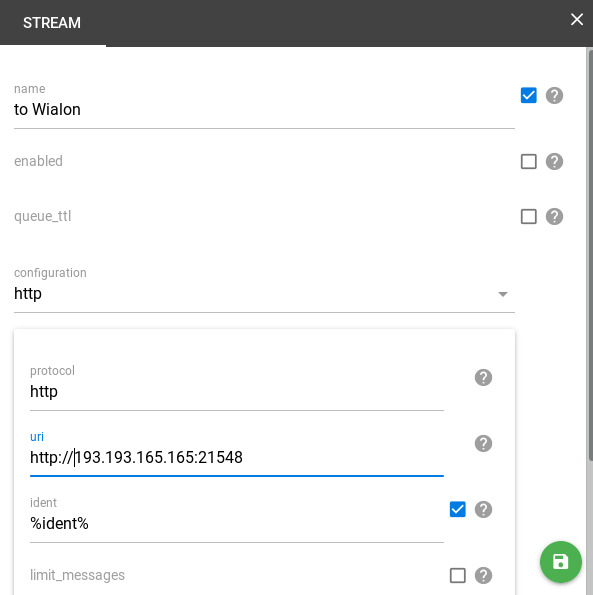 How to set up data streaming from flespi to Wialon? Forwarding telemetry data into the advanced fleet management system. Wialon is a multifunctional fleet management system also used for mobile and stationary assets tracking. Both flepsi and Wialon are developed by Gurtam company. There are several use cases where flespi together with Wialon can be used together. Though, there are native ways to exchange data between these two platforms. To send data from Wialon to flespi you need to create a retranslator (of Wialon Retranslator type) on Wialon side and point it to IP:port of your flespi channel operated over Wialon Retranslator protocol. Following is the guide on how to send data from flespi to Wialon. We assume that you already have the data coming to the flespi Telematics Hub. Once the stream is created, click on it to open settings. Navigate to the Subscriptions tab. 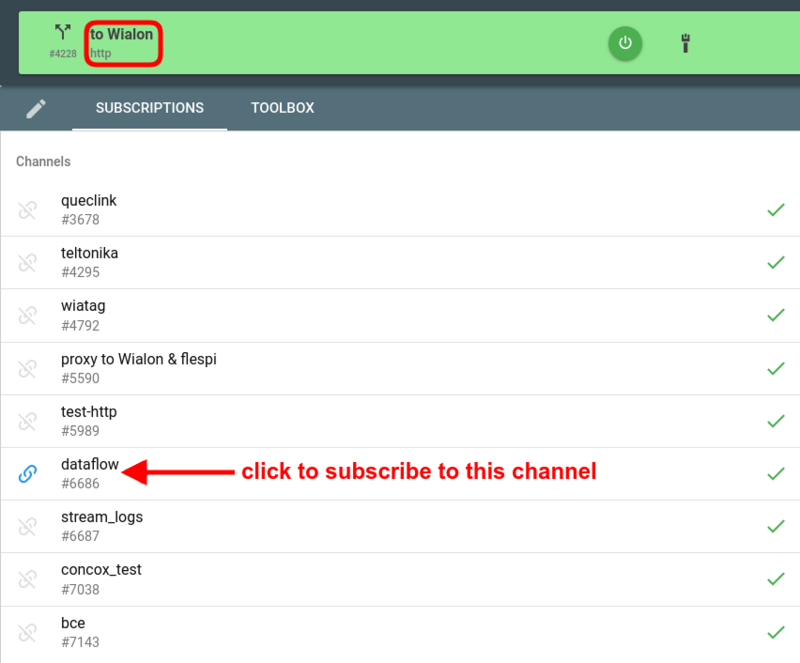 Click the chain links icon next to your Wialon Retranslator channel to say the stream to forward data from it.